One week on from December 1 launch – videos within! 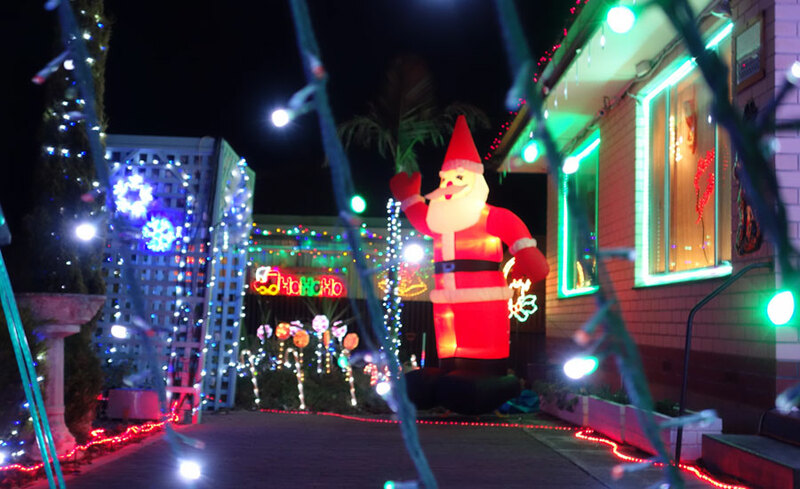 Ryan’s Christmas Lights 2014 started as planned on December 1 this year and has been running nightly since then. Aside from some physical display alterations (like the introduction of a quad-colour mega tree star topper), there is also a new song in the playlist this year. That song is Christmas Bells Medley by Scott Gonzalez, which takes the infamous tunes of Carol of the Bells and Oh Holy Night and turns it into a new compilation. More videos to come as Christmas edges closer! Don’t forget to check out and like the Ryan’s Christmas Lights facebook page for an exclusive FB video showing Fireworks near the display. Video footage of Suite Christmas Rush, Music Box Dancer and the ever famous Wizards In Winter just to name a few can be viewed right now from the video page.